This page is for a Saquon Barkley 2018 NFL Offensive Rookie of the Year Art Football & display case. 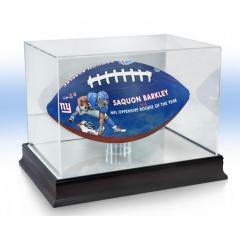 The display case and football will ship separately. Saquon Barkley was the #2 overall pick in the 2018 NFL Draft and went on to have a historic rookie season. He set numerous franchise and NFL records while capturing the 2018 NFL Offensive Rookie of the Year Award. 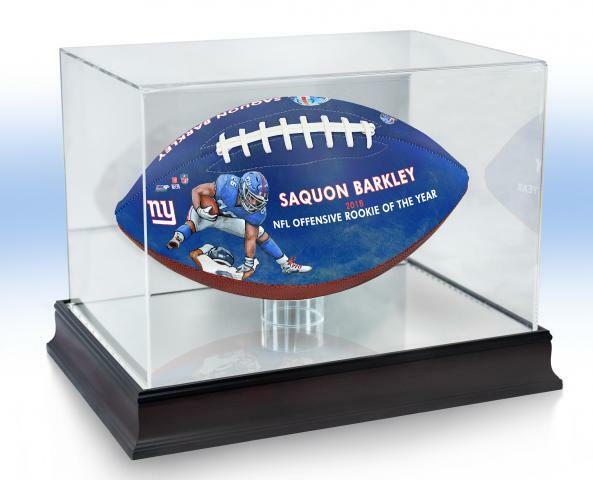 We are proud to honor this NFL superstar with this Saquon Barkely 2018 NFL Offensive Rookie of the Year Art Football! 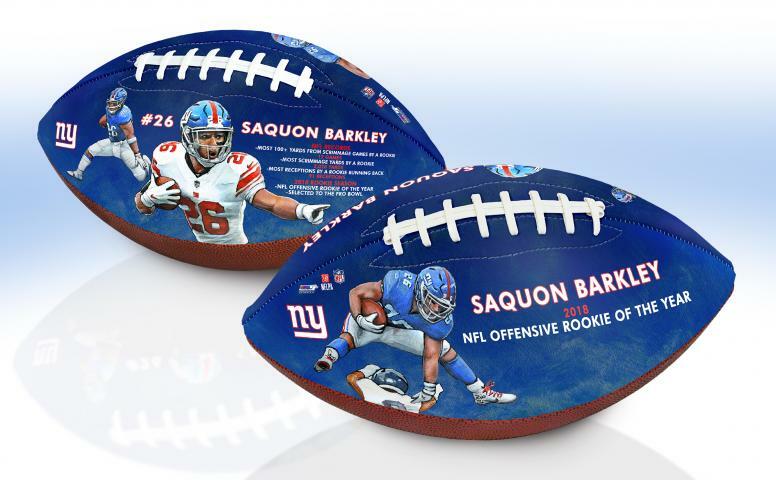 The ball features Barkley’s stats and records from his historic season, acknowledgment of his award, the Giants’ logo, as well as original reproduced artwork by the BigTimeBats Art Studio. One panel of the football has dual images of Barkley running with the football and his season stats and records. The opposite panel features Barkley and his famous hurdle run with acknowledgment of his Offensive ROY Award. The balls are of an edition of 5,000 and come with an individually numbered certificate of authenticity. Balls are licensed by The NFL and NFLPA.